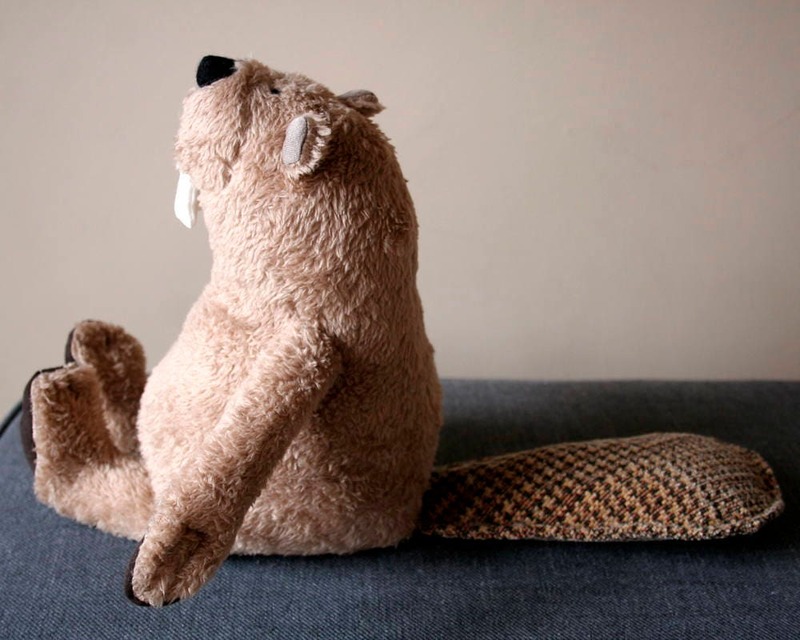 "The only thing better than a beaver is a stuffed beaver." 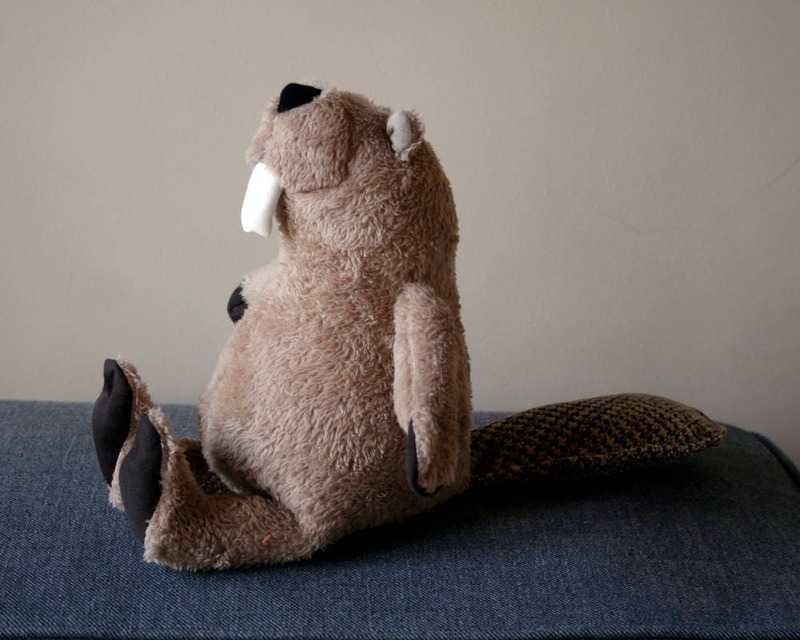 This funny beaver is a soft cuddly little fellow. He is a perfect sleeping fellow or hilarious decoration to the nursery. His light brown fur is very soft. His body is 9 inch (23 cm) and his huge teeth are not dangerous at all. It's my own design. 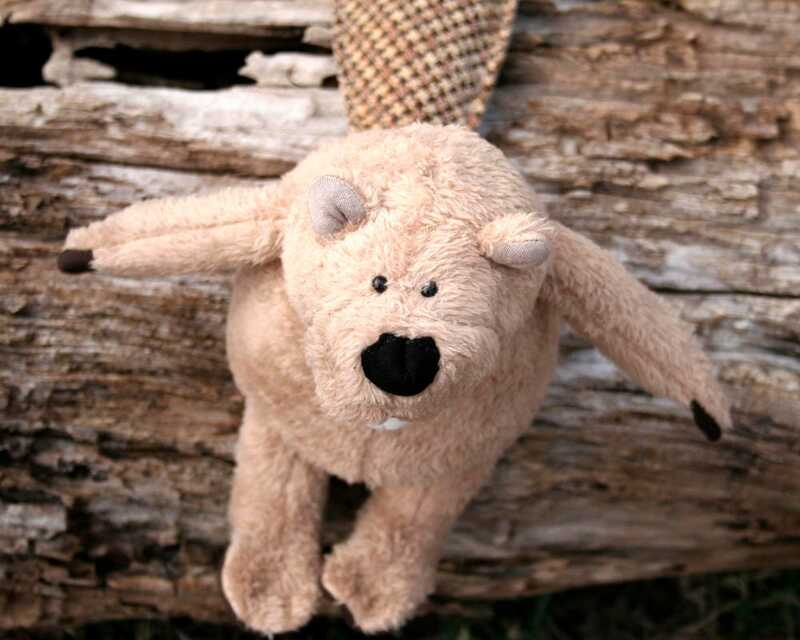 Made of very soft wellsoft, stuffed with polyfill. The eyes are hand-embroidered, the nose is black canvas. 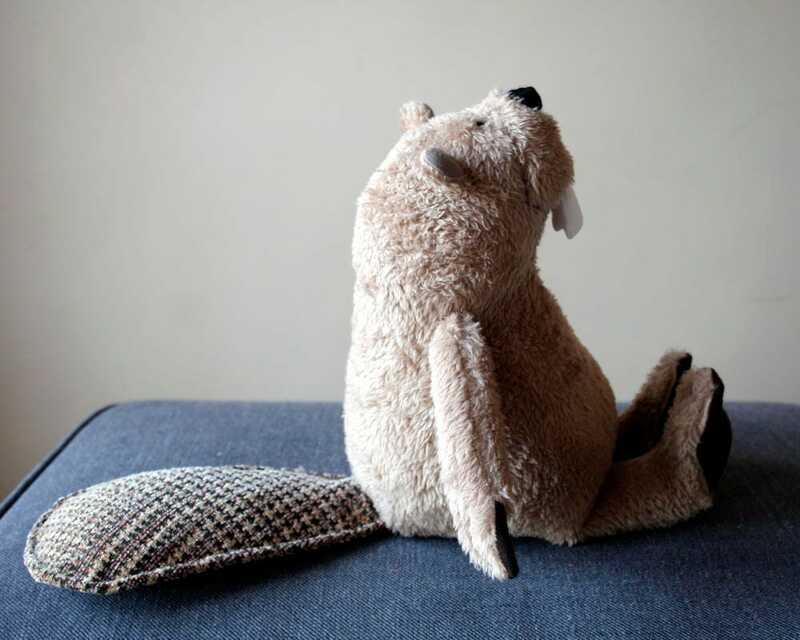 His big tail is made of upholstery fabric. 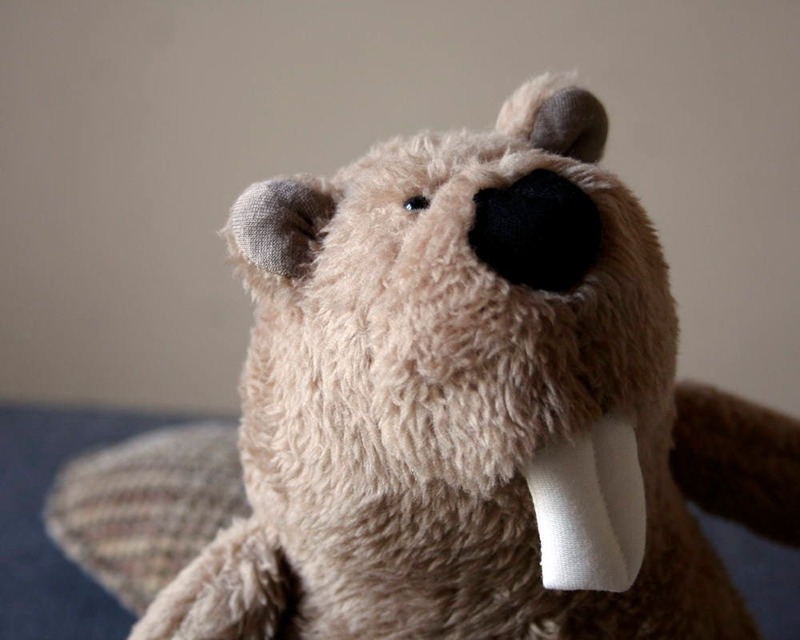 Such a lovely beaver! I especially love his tail. Communication with Andrea went smoothly and after he was done, he arrived fast from Hungary to Thailand! Absolutely love "Bark Bark" the Beaver! He is very well made and I will be back for future purchases! Einfach nur schön und so liebevoll verarbeitet. Davon kann man nicht genug haben.